Because of the need to keep the engines and boilers of Navy ships (including battleships, destroyers, submarines, and aircraft carriers) cool during exercises and tours of duty – not to mention the risk of taking on enemy fire – the U.S. Navy relied heavily on asbestos-based materials. As a result, U.S. Navy veterans have one of the highest rates of mesothelioma and other asbestos-related illnesses. In fact, roughly one-third of mesothelioma cases involve a history of military service, mostly from the U.S. Navy. Members of the U.S. Merchant Marines also face similar asbestos-exposure risks. Mesothelioma is a particularly aggressive form of cancer that affects the mesothelium lining surrounding the internal organs and the inside surface of the abdomen. Most cases, roughly 80 percent, involve the lining of the lungs; but mesothelioma also may occur in the lining of the heart or the abdomen. Since it generally takes several decades for the illness to take hold and exhibit symptoms – and asbestos was heavily used by the Navy from the 1940s through the 1970s – many who are at risk for mesothelioma may not even realize it. Also, asbestos exposures often continued to occur from service in the U.S. Navy up through the 1980s and 1990s when ships were repaired and overhauled without sufficient safety measures in place. Ships, both military and civilian, used asbestos for countless applications including engine rooms, turbines, boilers, pumps, valves, gaskets, packing, cables, pipes, and electrical equipment. Military ships also used asbestos-containing materials in ammunition rooms and the weapons themselves. Marines and other military personnel transported on military ships were also may have been at risk for exposure. The likelihood of asbestos fibers becoming “friable” (exposed, airborne, and potentially inhaled) increased as ships got worn through use and age. The construction of ships – as well as their maintenance and eventual demolition – also raised the likelihood of the microscopic fibers becoming released into the air, compounded by the close quarters and limited ventilation of “lower deck” areas of ships. Asbestos exposure often occurred when Navy servicemen working below deck in the engineering spaces would service boilers, turbines, pumps and valves and have to disturb asbestos insulation and remove old gaskets and packing with tools. This work would cause asbestos dust to become airborne and increase the risk for mesothelioma. Unfortunately, Navy servicemen typically did not receive any warnings about the hazards of asbestos either from the Navy itself or the manufacturers whose products contained asbestos and required the use of asbestos. Thus, Navy servicemen often avoided the known dangers of their military missions only to find out years later that they have mesothelioma from a hidden danger (asbestos) about which they never were informed. As cases of mesothelioma and other asbestos-related illnesses among current and former Navy service members began to mount in the 1970s – and as the serious health risks of the fiber were better understood – the U.S. Navy implemented the Asbestos Medical Surveillance Program(AMSP). The AMSP maintains detailed records of U.S. military service members and civilian employees with a history of occupational exposure to asbestos. The program consists of ongoing testing and monitoring of these individuals’ health, including chest X-rays. These records typically are included in a service member’s general health records, but you also may request your AMSP records. 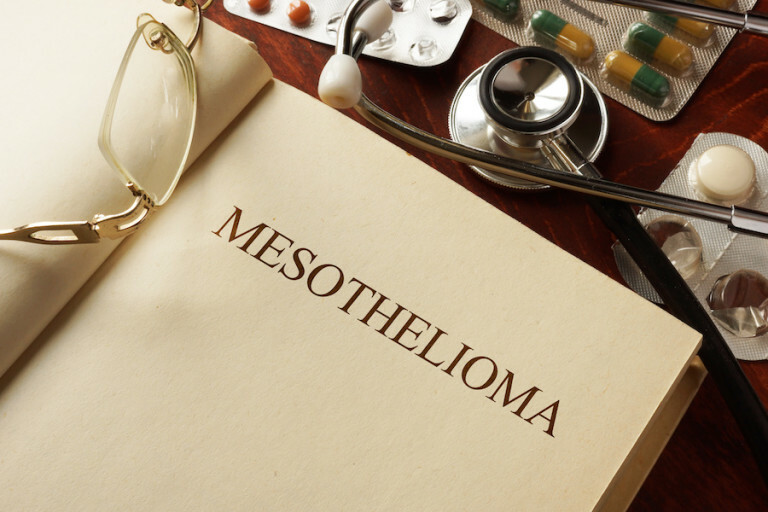 The highly experienced attorneys from MesoLawyersCare have recovered more than $10 billion for people diagnosed with mesothelioma. Our firm has successfully represented many Navy service members and veterans suffering from mesothelioma as the result of exposure to asbestos from ships and shipyards. The MesoLawyersCare attorneys have obtained landmark jury verdicts and settlements in cases involving exposure to asbestos in the U.S. Navy. For more information or a free consultation, fill out the form on this page, have a live chat now with one of our representatives, or call our offices.